This is such an important and worthy cause I decided to post this again! Especially now Handmade by me has so many more followers than when I last posted this last time. So many of you helped before by signing the petition, thank you! Lets see if we can spread the word even further, its certainly a cause worth pushing! There’s been quite alot of hype lately about the increasing severity of Rhino poaching, particularly in South Africa. 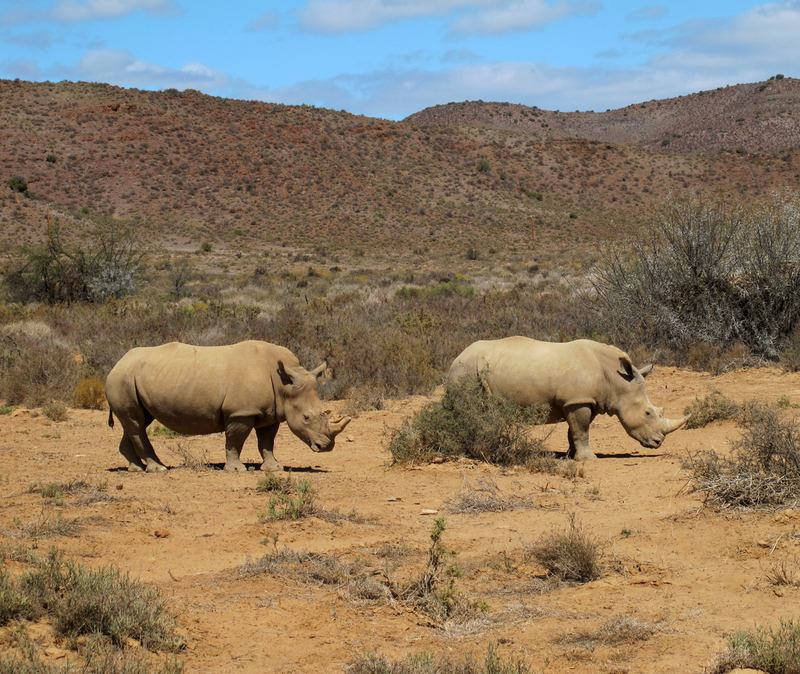 According to acclaimed rhino scientists, if poaching continues at its current rate South Africa’s rhino herd will go into population decline by mid-2012. That is very tragic and it is getting progressively worse very fast. For every item bought in this design below I will donate 10% to www.stoprhinopoaching.com. The design features both the black and white Rhinos and if you look a little closer you’ll see that the little flower/fireworks are made out of rhino spoor (footprints). 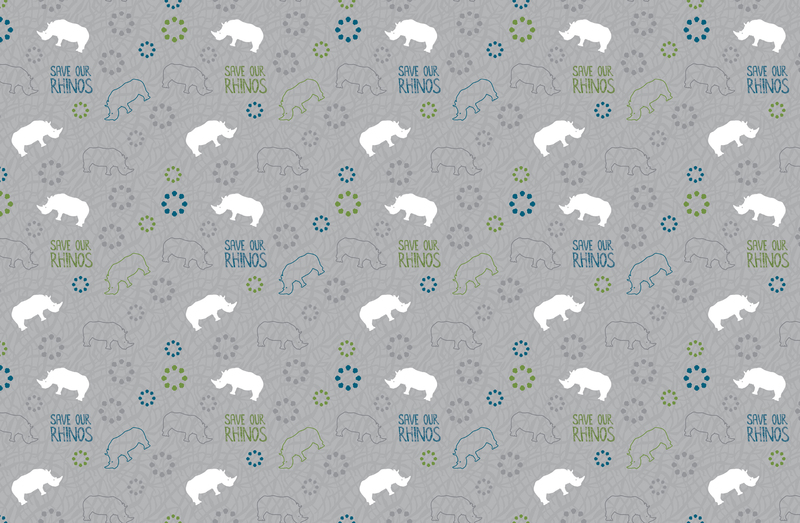 Do something small for them (and for yourself) and order your Save Our Rhinos tea towel from my etsy store today! You can also help make a difference too by signing this petition and by passing it on to help spread the word around the world and put an end to this savage and severe problem. Please click on the various links above to find out more about rhino poaching and see what other ways you can help. 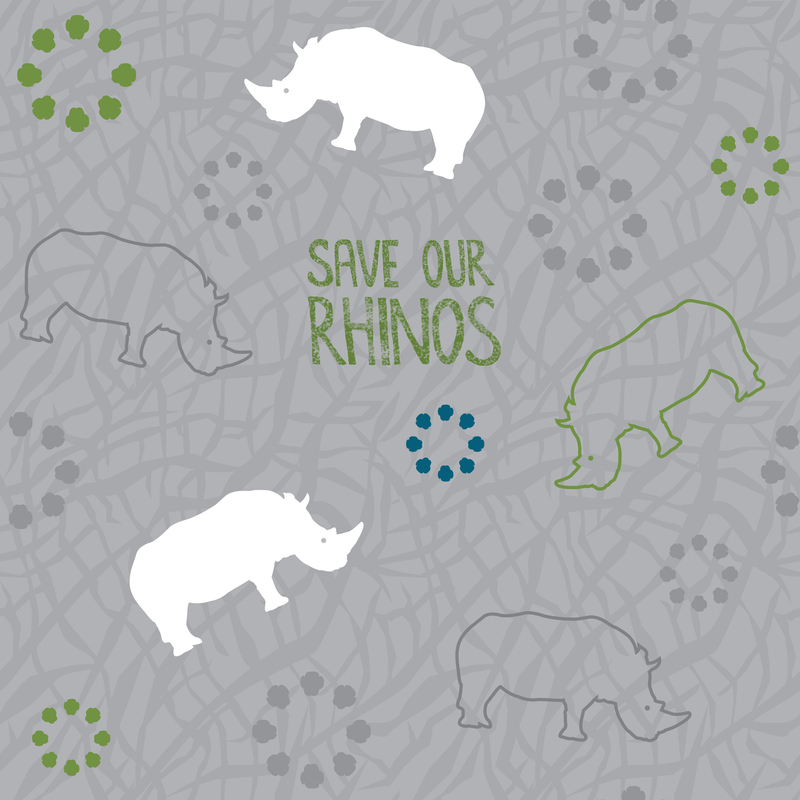 This entry was posted in fabric design, sewing and crafts, Uncategorized and tagged awareness, blue, fabric, green, grey, help, petition, poaching, rhinos, save, south africa, spoor, tea towels by seraholland. Bookmark the permalink.